Because this is my blog, and because I’m from Jersey, and because the debate never ends, here’s further proof as to why my state’s fabulous. If you need more convincing than this video (seriously, watch it!) I’ve come up with ten common misconceptions about New Jersey. Read on, skeptics. 1. Jersey is one big slab of turnpike. NOT TRUE! 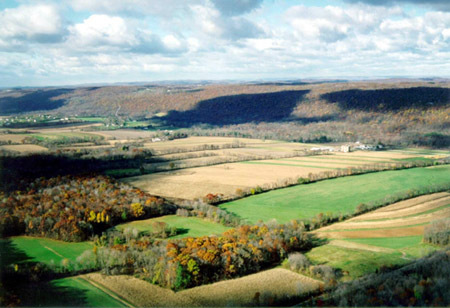 Jersey is actually 15% farmland, and its nickname, the ‘Garden State,’ isn’t just a joke. The Pine Barrens, a densely forested area in southern Jersey, makes up 22% of the state. The turnpike is one of the most heavily traveled highways in the U.S., and the sites alongside it aren’t NJ’s best. But most people who have this conception of NJ have never driven OFF the highway. I could say the same thing about any other state, if all I did was pass through. 2. What exit are you from? Yeah, I’ve maybe heard that one twice in my life, and it was because someone was asking me for directions. Wrong, again. 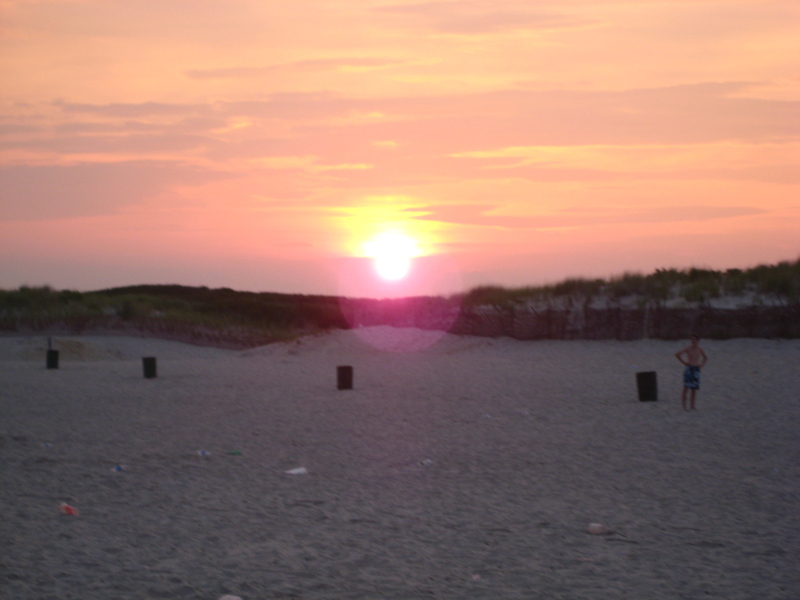 The Jersey shore encompasses 127 miles of beautiful coastal land along the Atlantic. Most of it is filled with summer homes, restaurants, and hotels– it’s a huge family vacation destination. Seaside Heights, where “Jersey Shore” is filmed, is a 0.8 square mile borough, hardly representative of the shore as a whole. And maybe you’ve heard that only two of them are actually from Jersey. 4. No one of cultural relevance comes from New Jersey. Frank Sinatra, Thomas Edison, Yogi Berra, Bruce Springsteen, Brian Williams, Meryl Streep, Jon Bon Jovi—you guessed correctly. They are all Jersey born and raised. 6. Jersey’s main industry is oil refineries. If you’re an avid Sopranos watcher, I can understand why you’d think this. But New Jersey is actually an economic powerhouse– the second richest state in the nation and a leader in telecom, pharmaceuticals and agriculture. The economy also heavily depends on, gasp, tourism! 7. New Jersey drivers are the worst. Substitute “New York” in the above statement and it becomes true. 8. 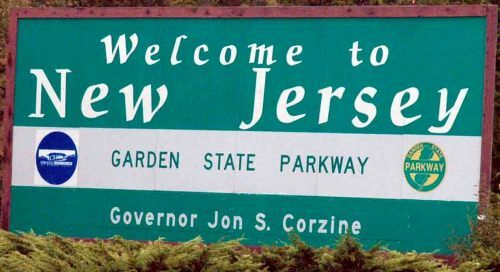 The only people who like living in NJ grew up there. False. New Jersey has the highest population density of any state in the nation, and for a reason. The state is also one of the most diverse. People come here from all over the world for our schools and vibrant metropolitan area. If you live in New Jersey, at least four major cities are easily accessible: New York, Philadelphia, Boston and Washington, D.C.
9. You don’t have to pump your own gas. The first baseball game ever was played in Hoboken, New Jersey, and the first college football game was played in New Brunswick between Rutgers and Princeton. Over 100 Revolutionary War battles took place in the state. New Jersey has more shopping malls and diners than any other place in the world. It is also the birthplace of the drive-in movie, the boardwalk, the postcard, the zipper, the light bulb, and FM radio. Jersey may not be perfect, but it’s got a lot to offer. So before you judge, actually go there. I’ll meet you at exit 163. Enter your email address to receive notifications of new posts!